Things to pack for your Germany Tour | UNIGLOBE Direct Travel Ltd. The following is a short list of the most important things that you should carry with you when travelling to Germany. If you are travelling during the summer, make sure you have a lot of summer wear such as shorts, sun dresses, t-shirts, open shoes and the like. If however you are travelling during winter, you will need a lot of warm clothes as Germany can get extremely chilly during winters. Make sure to throw in some evening wear. For men, a tux will do and for women, a night gown is enough. Mostly though, you will need some hiking wear such as hiking boots, khaki shorts and shirts (Some of the cities still have uneven surface of the yesteryears and wearing sandals might be unwise). If you are planning to go to the beach, you can either pack some beach wear or buy some in Germany. True, Germany has one of the most advanced healthcare systems, but do you want to bet your well-being on that? Carry your medication and if you have a heart condition, keep in regular contact with your physician. Of course you will need a camera to record what takes your fancy as well as fond moments. Make sure you have your smartphone customized with the best travel apps that will help you keep track of your expenses, flight schedules, and GPRS. Most people tend to forget their charging systems. Note that the European electric calibration is different from that of US and you will need a convertor. You can carry your iPod to keep you busy during long travels. You will need airline tickets, driver’s license (if you are going to be driving), your passport, visa (if you are staying for more than 90 days), traveller’s cheque and ATM cards. Do not make the mistake of leaving your MasterCard. You never know when you may need a large sum of money. Also, have a few dollars converted to Euro. You may need some cash to use between the Airport and your hotel. This may seem frivolous, but wait until your skin burns and suddenly your holiday is a nightmare. During summer, the temperature may be as high as 30 degrees Celsius. Make sure you carry your sunblock lotion, sunglasses, hats etc. to protect your skin from excessive heat. If you think of anything else that you need to carry, feel free to pack it. 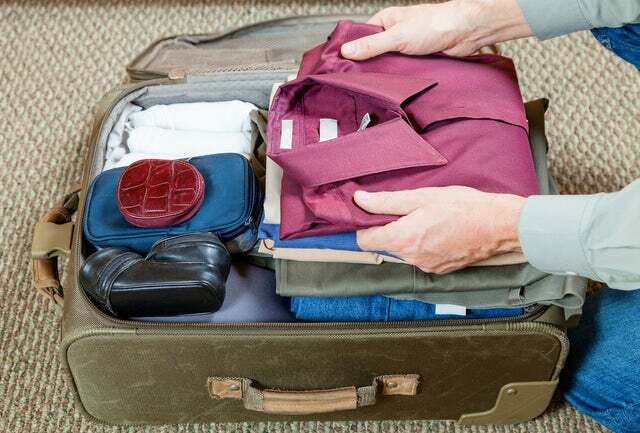 Generally, the above items are a must for everybody, but there are those that are special to different people...know what you need to carry before you start packing.